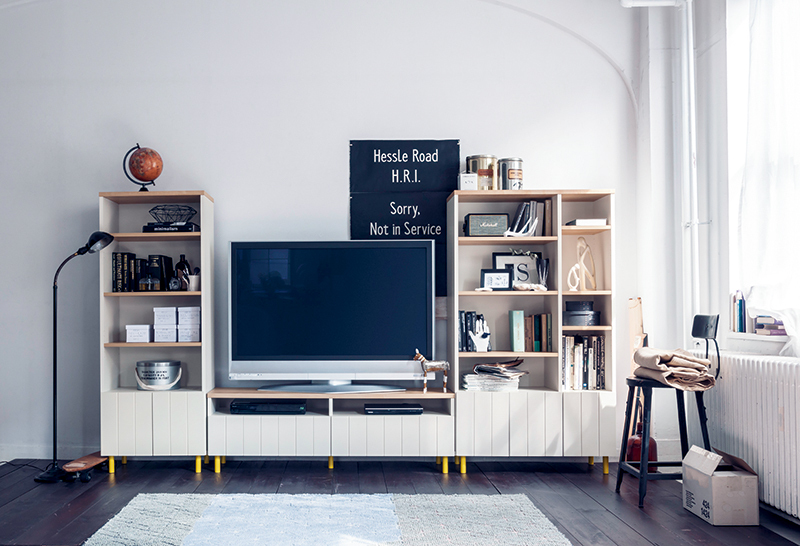 Dachs Cuckoo will be exhibited in the Lemnos stand at CREATIVE EXPO TAIWAN 2017, the design and art exhibition in Taiwan. 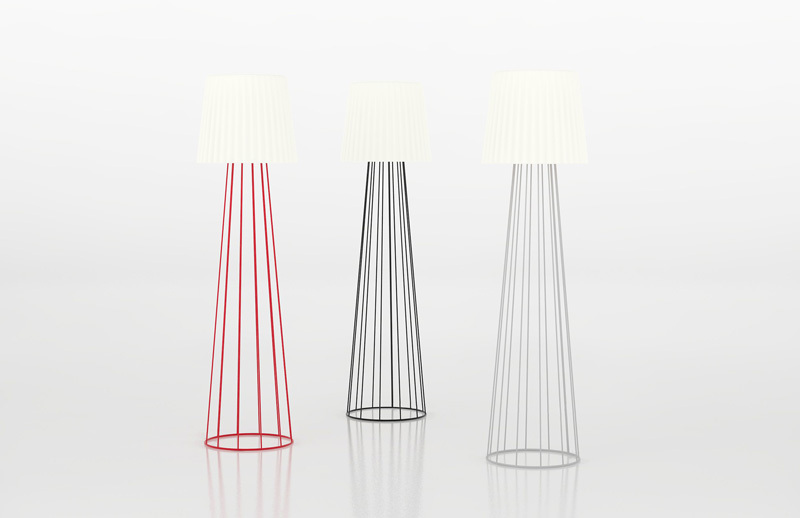 Come and discover Alysoid, designed by Ryosuke Fukusada, at Axolight stand at Euroluce. 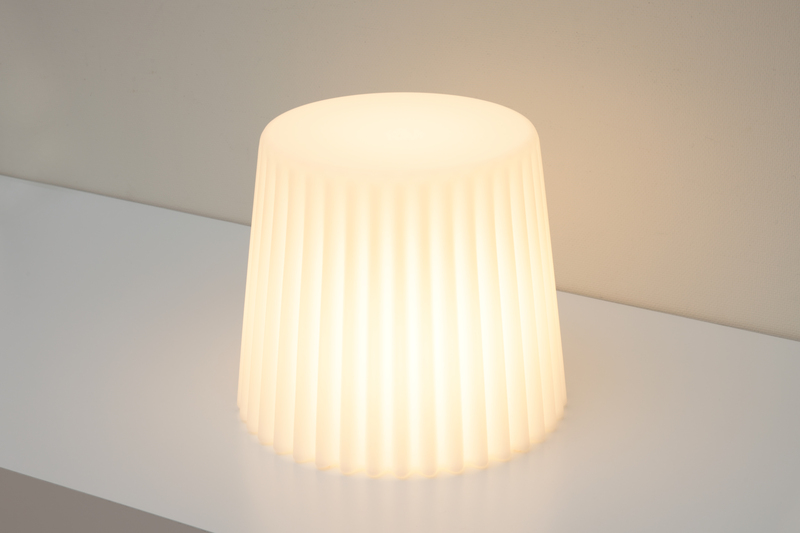 The new version of Muffin Lamp designed by Ryosuke Fukusada will be exhibited at Bonaldo stand. 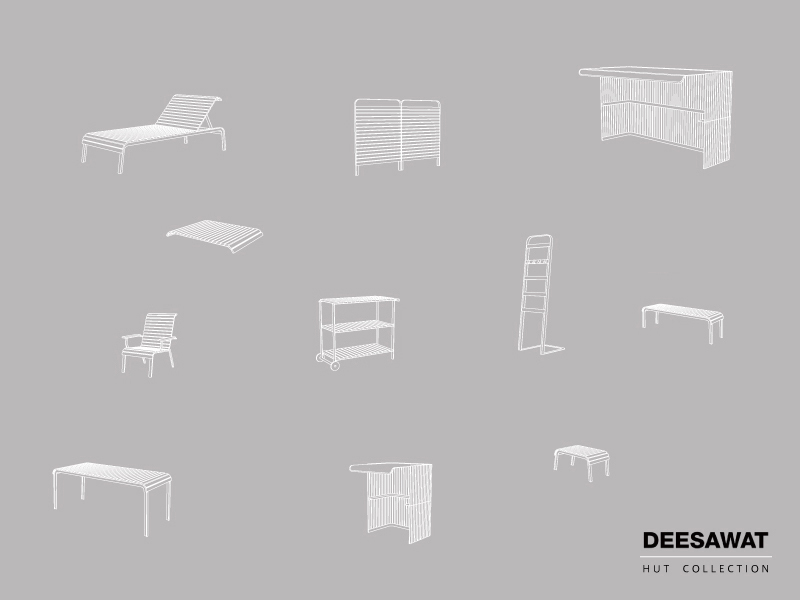 DEESAWAT will have a soft launch of the new outdoor furniture collection HUT designed by Ryosuke Fukusada. 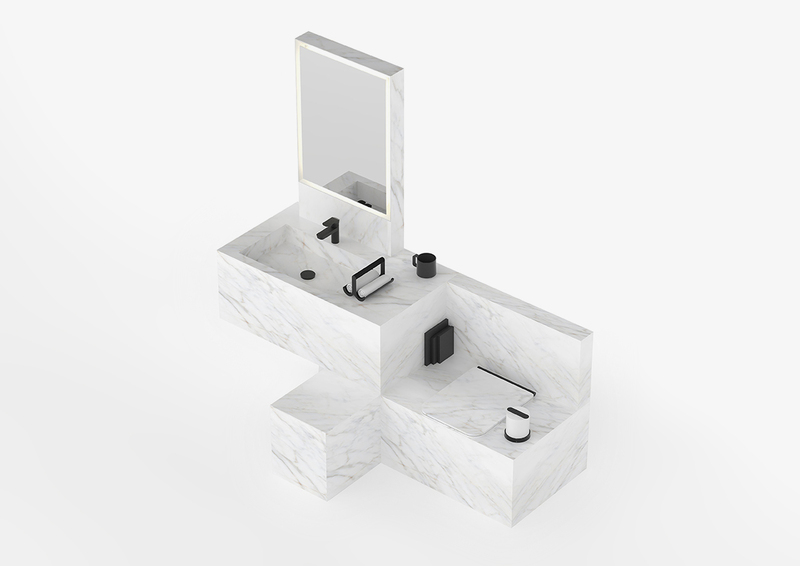 Ryosuke Fukusada and Rui Pereira`s Small Steps bathroom concept for COTTO will be presented at “COTTO Another Perspective 5, Curated by Naoto Fukasawa. 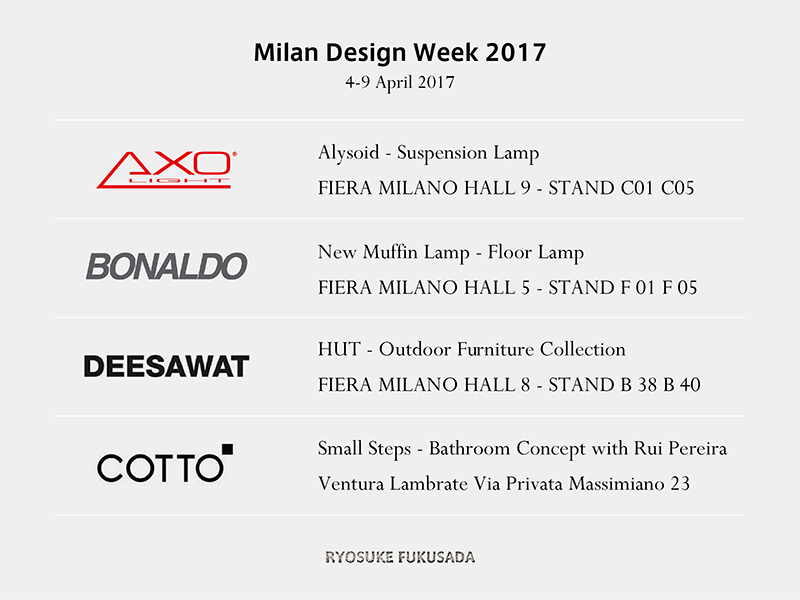 Ryosuke Fukusada will unveil four new products at Milan Design Week 2017. We will upload more information soon. 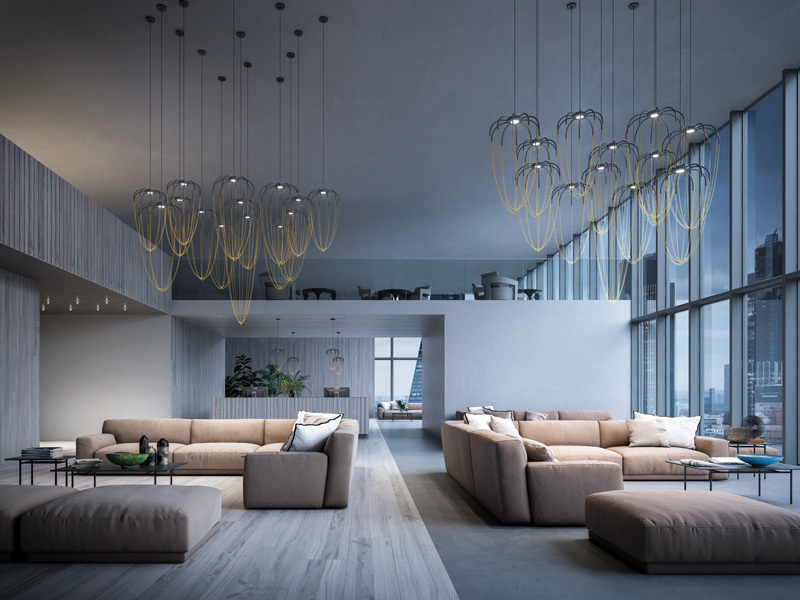 Chotto Collection is featured on the LYFESTYLE INTERIOR BOOK 2017 Spring issue, which is published by Senshukai. 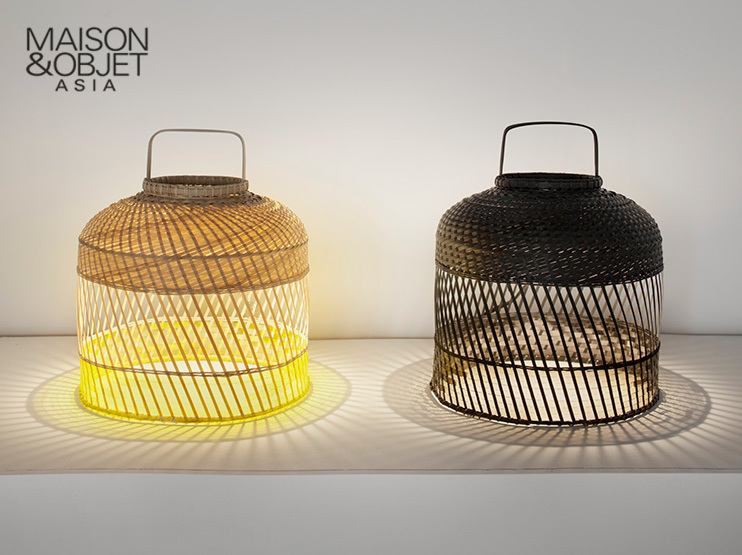 Dachs Cuckoo by Lemnos Inc. will be on display at the event Ambiente 2017 at Messe Frankfurt (Germany). 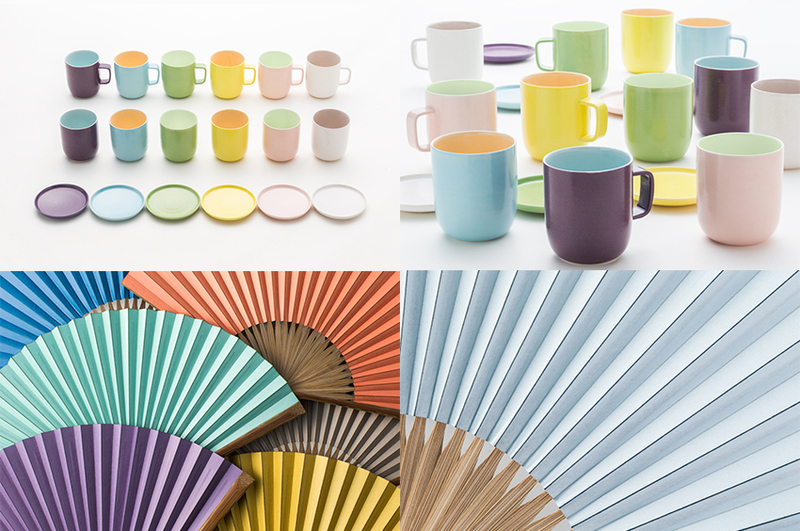 Venue: Ambiente 2017, Messe Frankfurt, Frankfurt am Main (Germany) Lemnos Stand, Halle 11.0 LOFT, H 61. 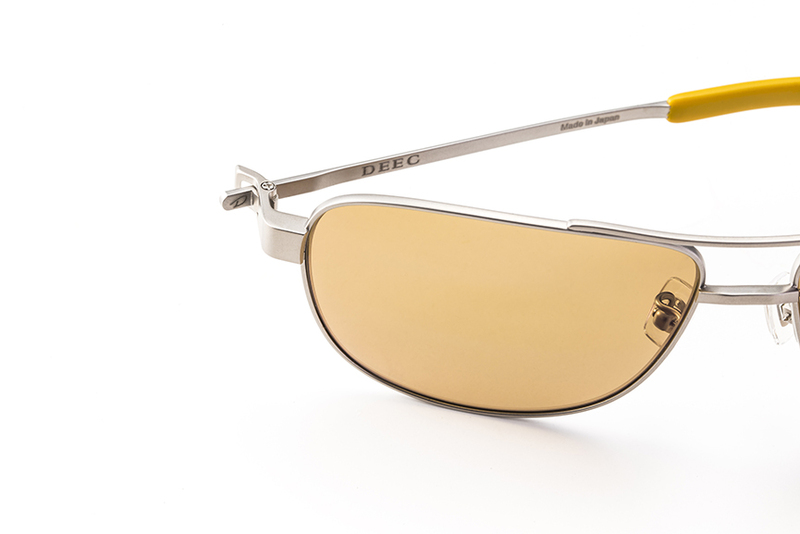 DEEC Driving Sunglasses will be on display at Gift Show in Tokyo. 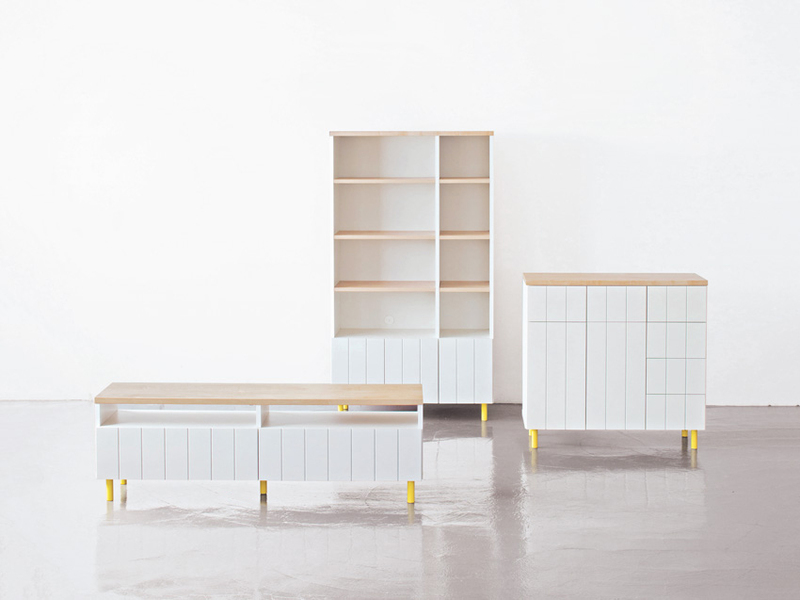 The products designed for Rakukei will be on display at LIFExDESIGN in Tokyo. Icebell has been featured on NHK TV Broadcaster (Japan) on January 18th, 2017. 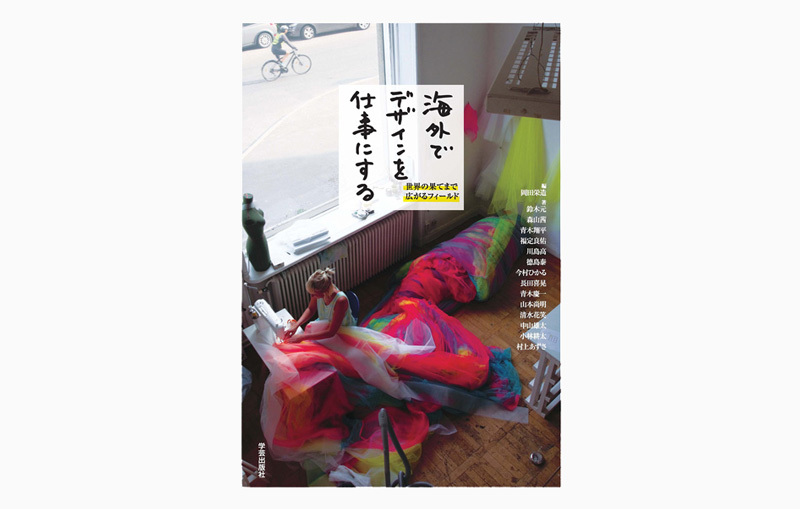 Ryosuke Fukusada has written one of the essays by 14 designers in the new book “Work as a designer in foreign countries” published by Gakugei-shuppan. 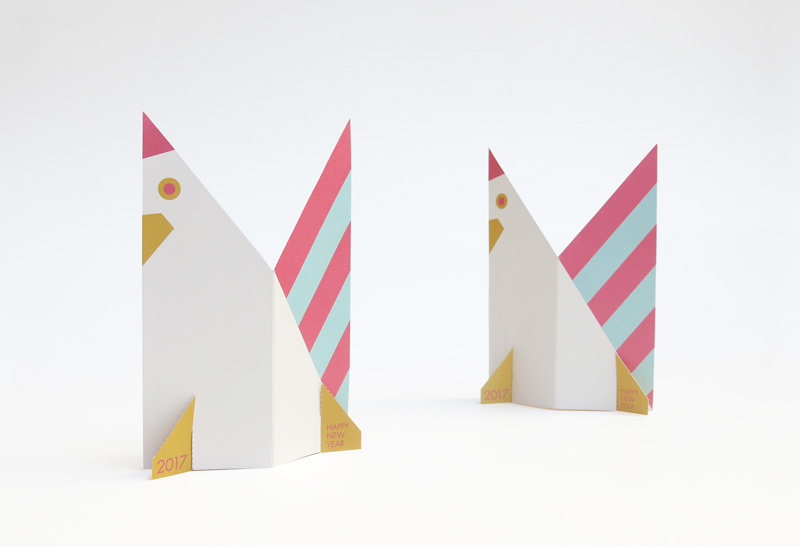 Have a fantastic new year ! 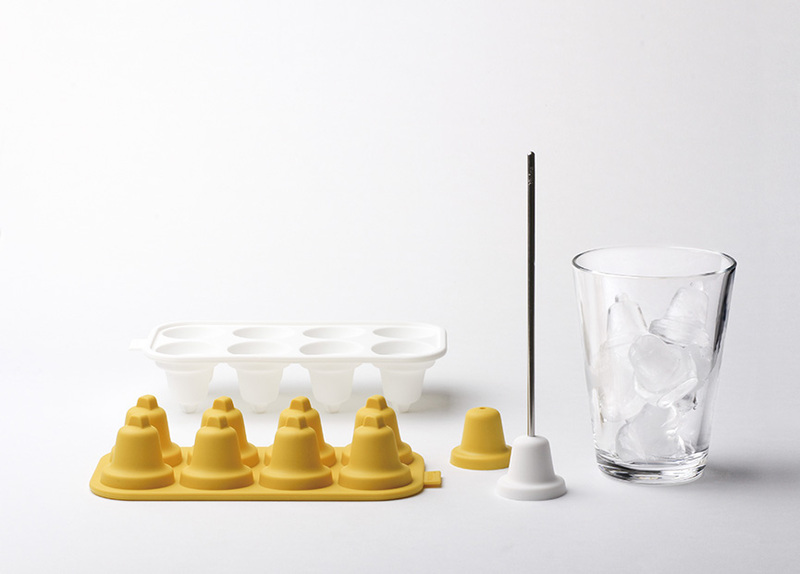 New products designed by Ryosuke Fukusada for‘RAKUKEI’will be unveiled at a new café & shop directed by Kyoto-based company Rakukei Koubou (Representative director: Yusaku Osaka). 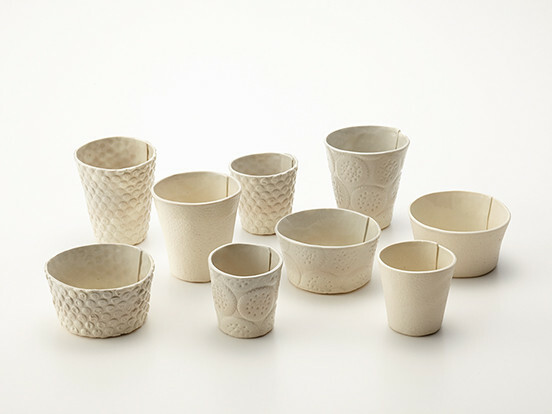 Ryosuke Fukusada has been in charge of the design of all RAKUKEI products. 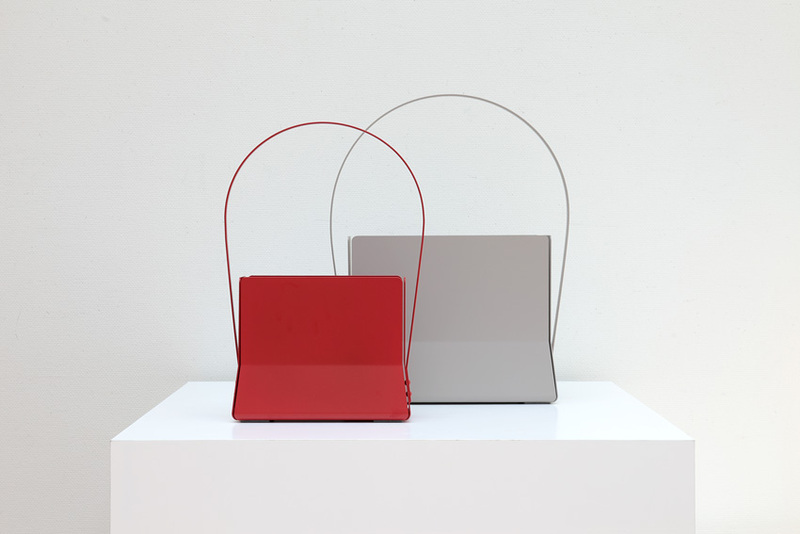 Ryosuke Fukusada will exhibit a new experimental work at the Experimental Creations. 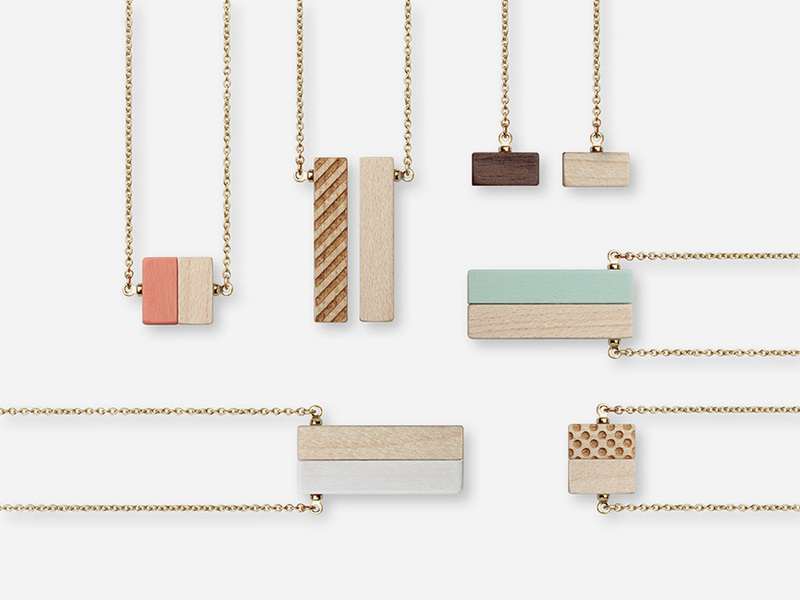 Chotto collection is now available for purchase. 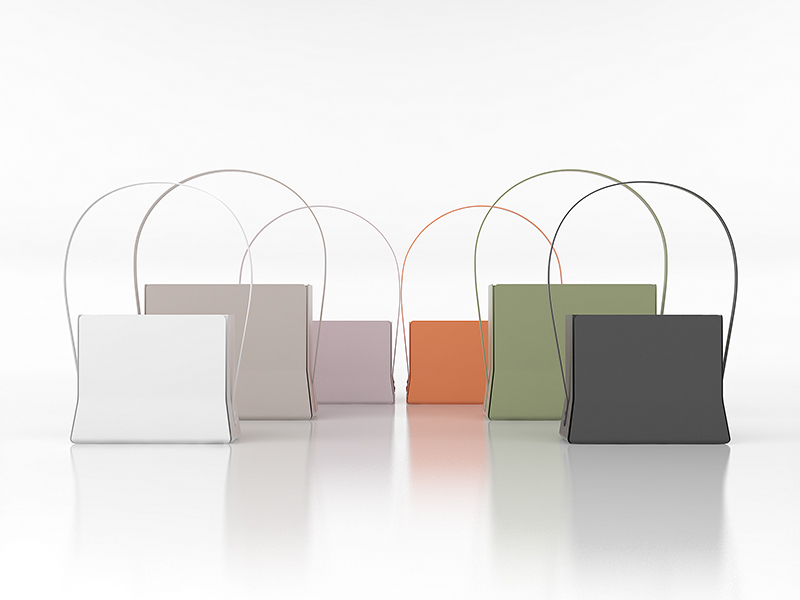 Icebell is now available for purchase. Thank you for your attendance at the “Kanazawa college of art Alumni Exhibition”. 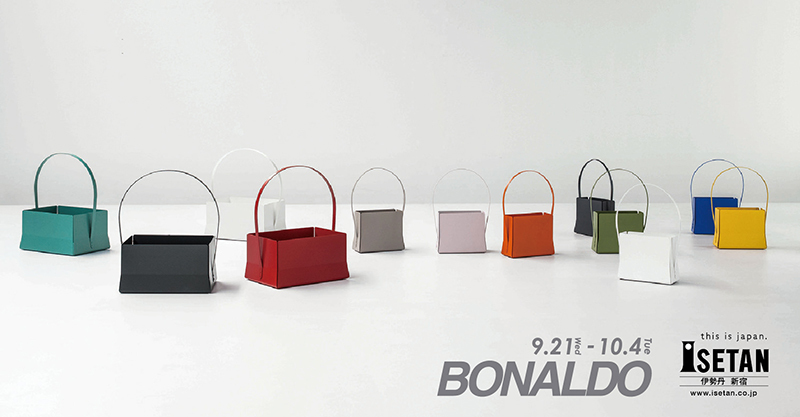 Products designed by Ryosuke Fukusada for Italian furniture manufacturer Bonaldo will be displayed at a limited-time shop in Isetan Shinjuku. 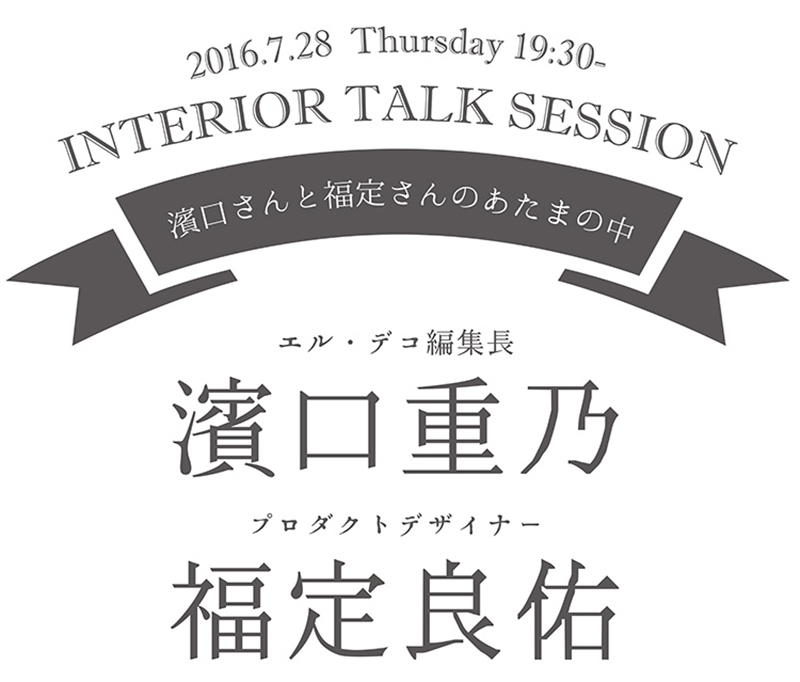 A talk show by ElleDecor editor-in-chief Shigeru Hamaguchi, by Living House president Kosuke Kitamura and Ryosuke Fukusada will also be held. 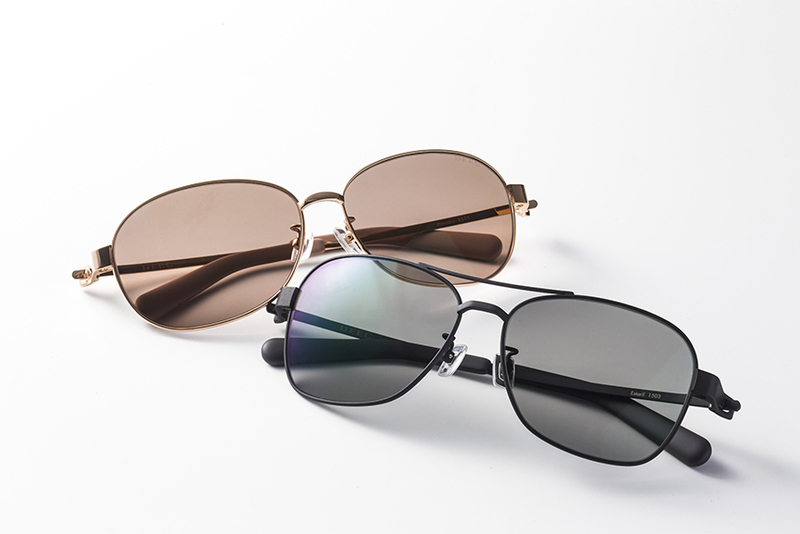 This September the sunglasses designed by Ryosuke Fukusada will be exhibited at the JFW-IFF, to be held in Tokyo. * Admission is limited to professional buyers, or press officials. 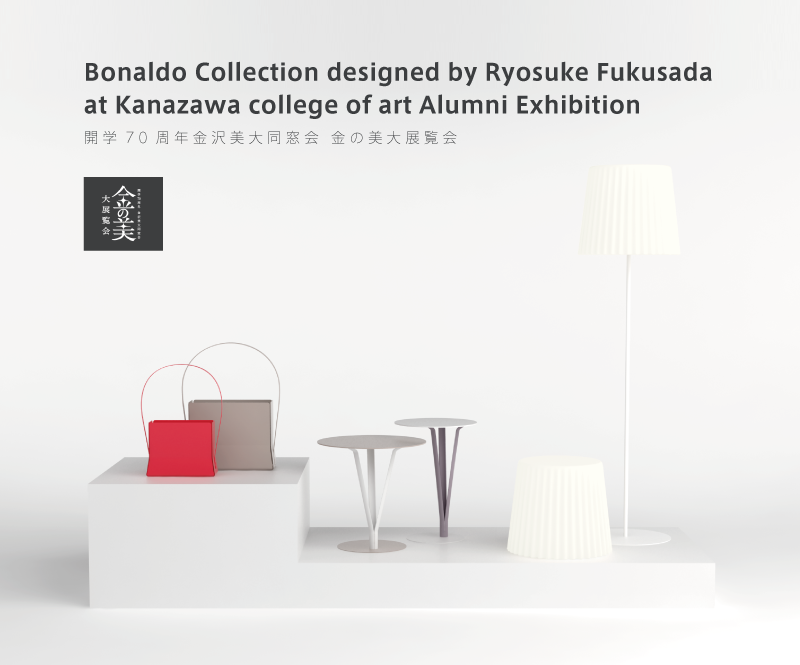 Products designer by Ryosuke Fukusada for Italian furniture maker Bonaldo will be exhibited at the Kanazawa College of Art Alumni Exhibition, in Kyoto. 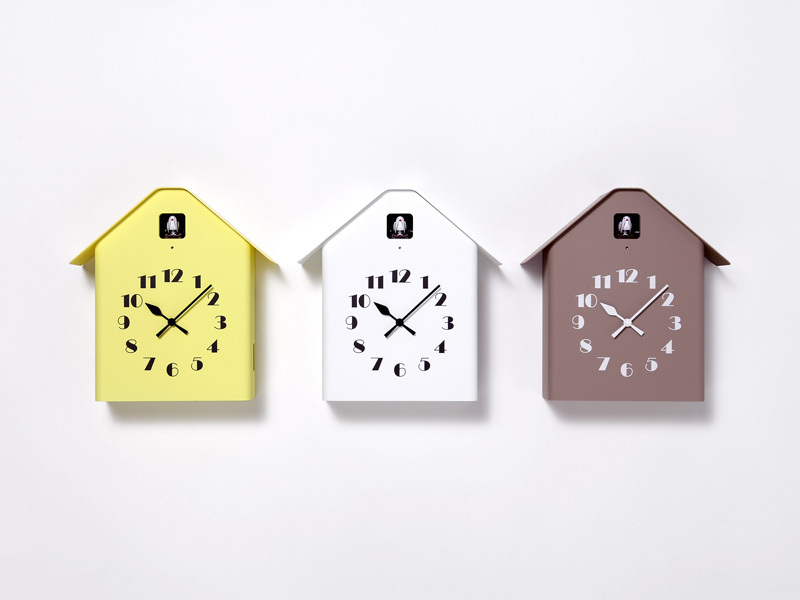 Ryosuke Fukusada will give a presentation at the event space Connection by the interior retailer Living House Horie (3F), with the Chief editor of Elle Decor Japan Shigenori Hamaguchi and the president of Living house Kosuke Kitamura. 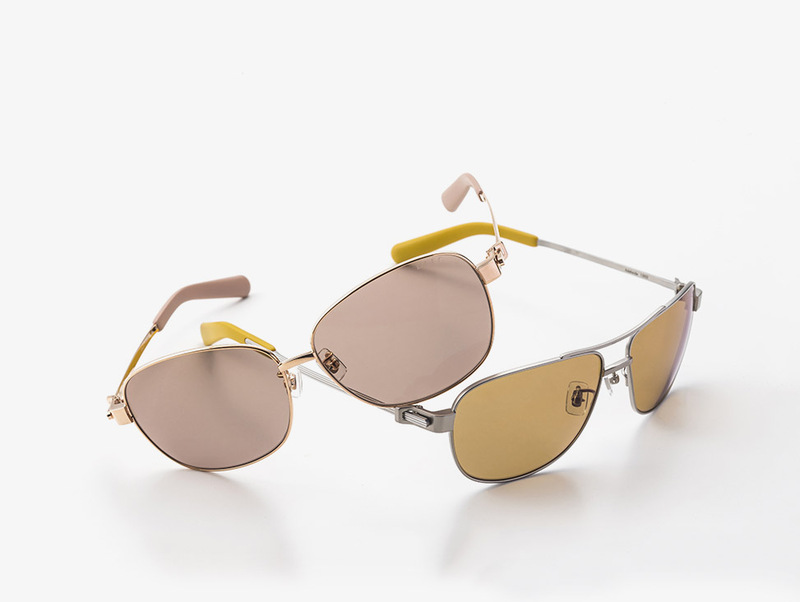 DEEC Driving Sunglasses, designed by Ryosuke Fukusada, were awarded with the Grand Prize at the “Best Glasses Competition 2016” of the Sabae Glasses Messe. 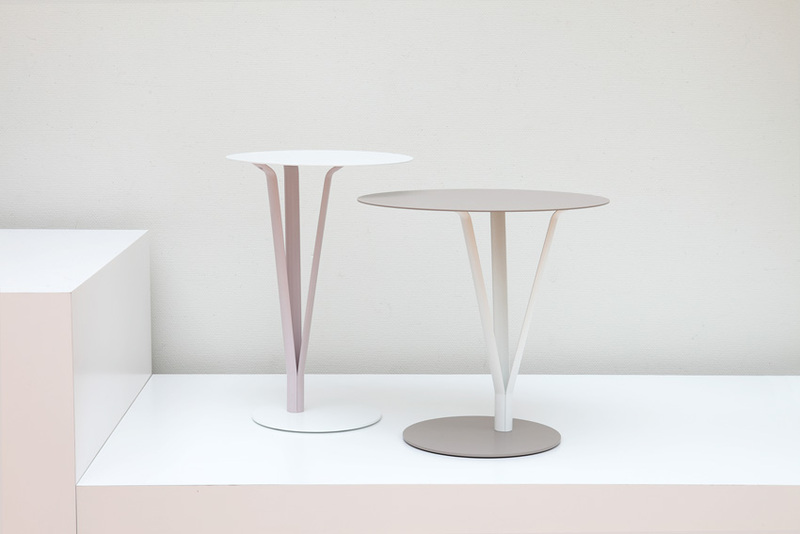 New prototypes designed by Ryosuke Fukusada will be exhibited by TAKATA Lemnos and Timbre at Interior Lifestyle Tokyo 2016. 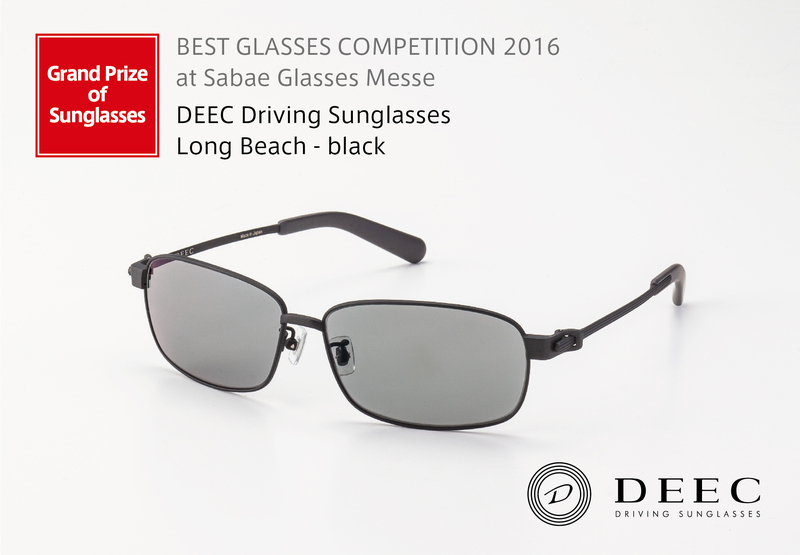 DEEC Driving Sunglasses, designed by Ryosuke Fukusada, will be showcased at Sabae Megane Messe 2016. 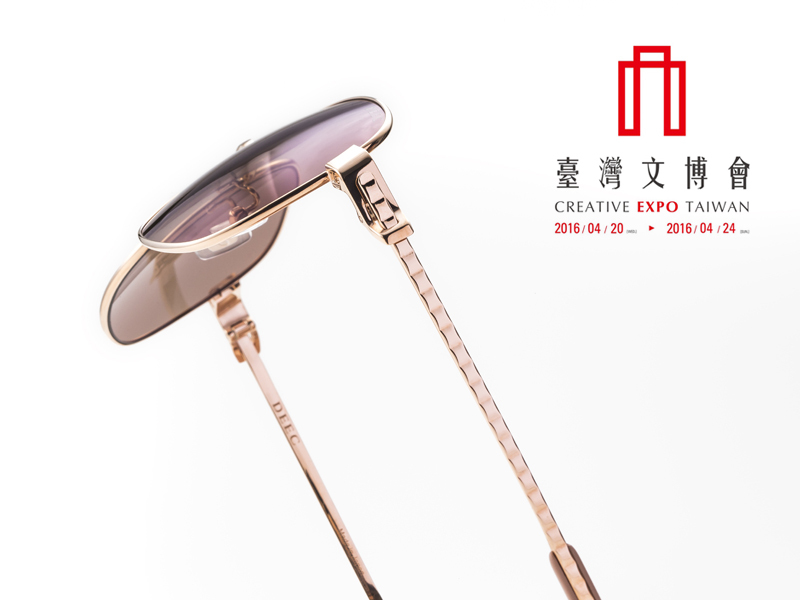 DEEC Driving Sunglasses, designed by Ryosuke Fukusada, will be showcased at Creative Expo Taiwan. 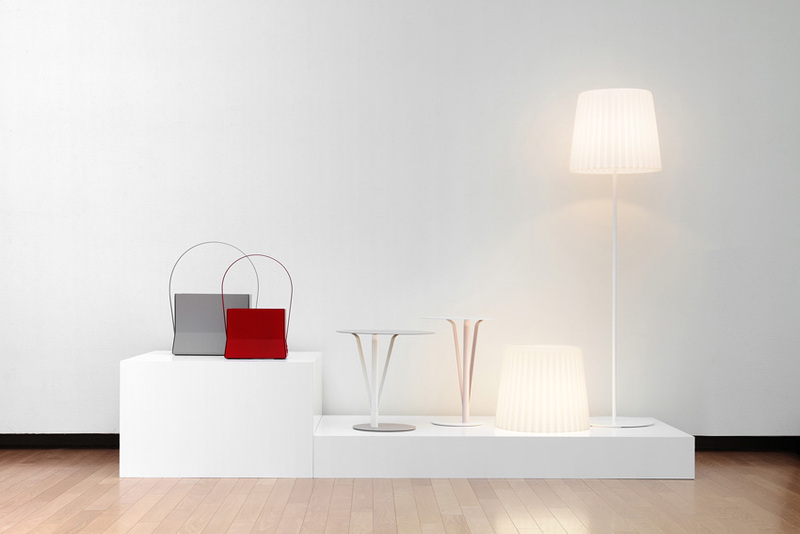 New and previous works designed by Ryosuke Fukusada will be exhibited by Bonaldo, Cotto, and industry+ in the three locations during Milan design week. 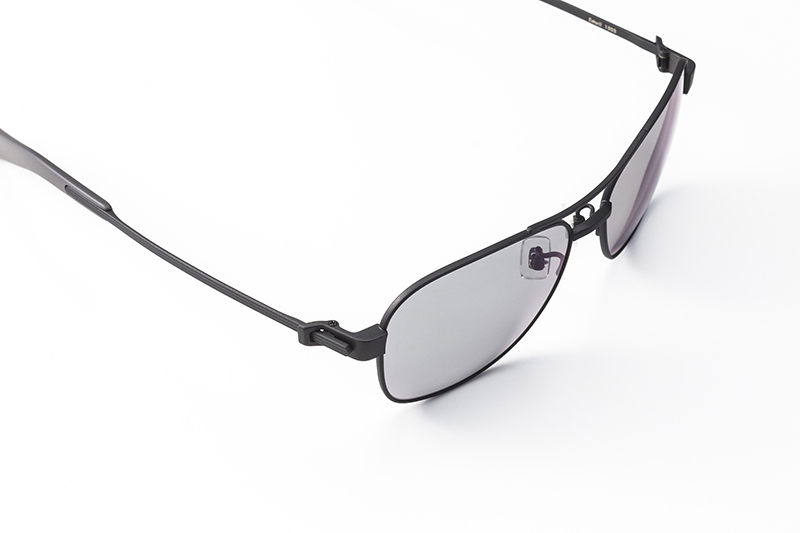 DEEC has launched to sell the driving sunglasses that Ryosuke Fukusada has designed. 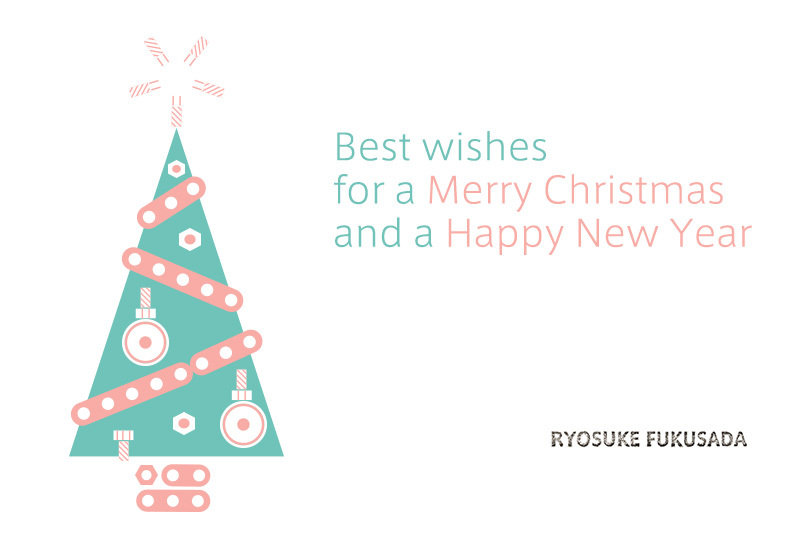 We wish you a merry christmas and a marvelous 2016 ! The teaser site of a new driving sunglasses brand DEEC which Ryosuke Fukusada is taking charge of the design, is open now. 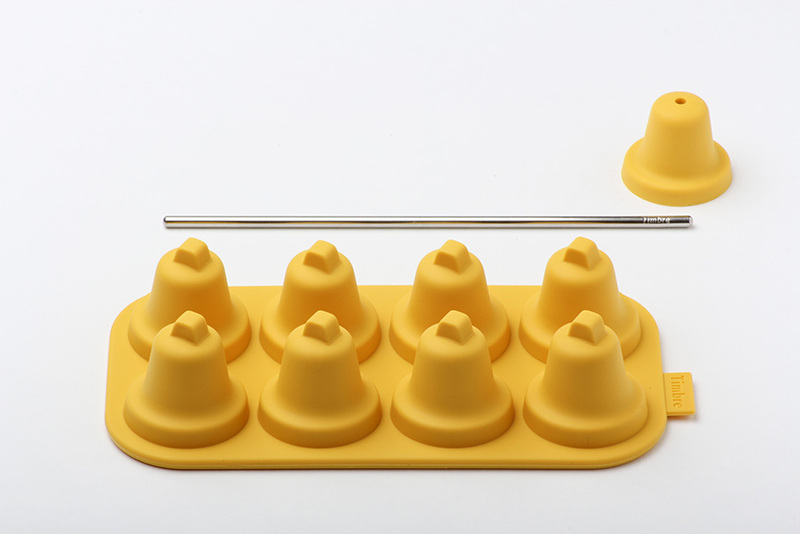 It will be launched in this winter. 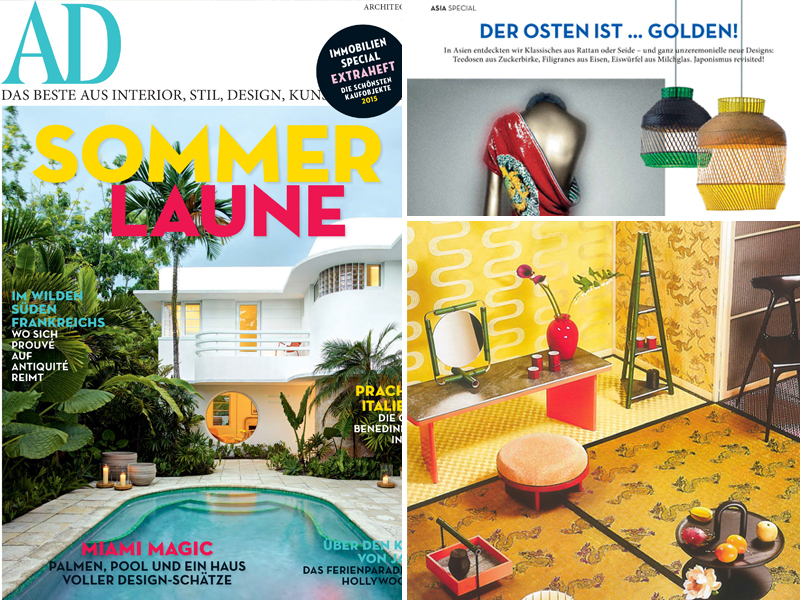 Osiloi and Gabbia Lamp are featured on AD Germany. Hikari Hakoichi included utsusiwa, was featured on the Japanese newspaper Togyo Jiho. We are pleased to inform you that with effect from 1st October 2015, our office will be relocated to new address as follows, the main telephone and facsimile numbers remain unchanged. 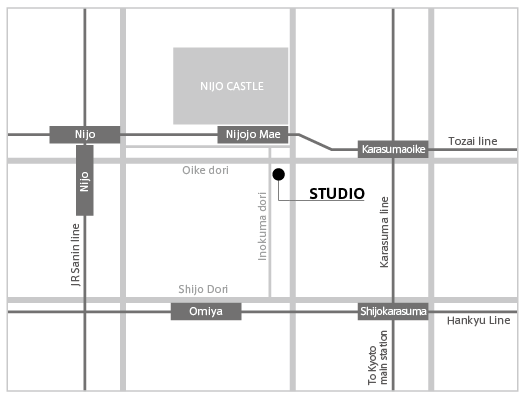 The location is close to the Nijo catsle and have easy access from Kyoto station. When you come visit Kyoto, stop by our office. 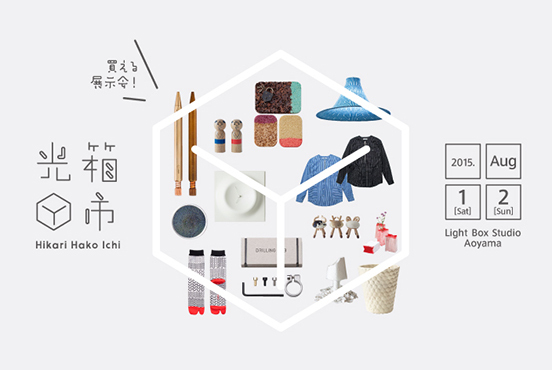 utsusiwa　will be showcased at the Daikanyama tsutaya pop up store. 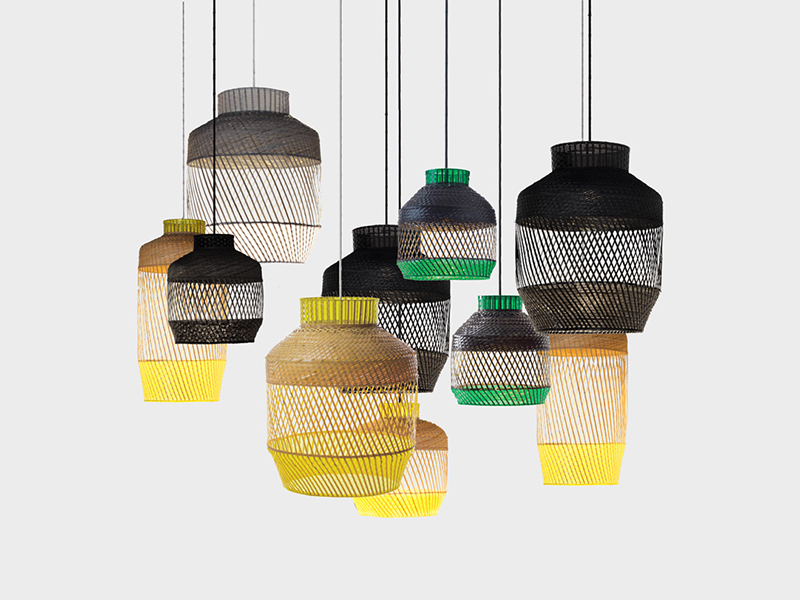 Date : From 11 September to 30 September 2015, 7:00-2:00 a.m.
utsusiwa will be showcased at Hikari Hako Ichi. 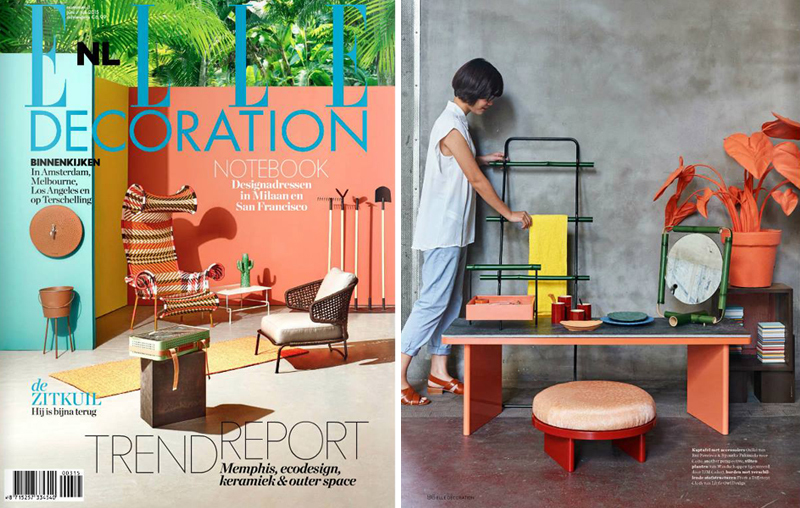 Organizer : Experimental-Creations Yumi Ueno, bluespot Inc.
Osiloi has been featured on Elle Decor Netherlands. 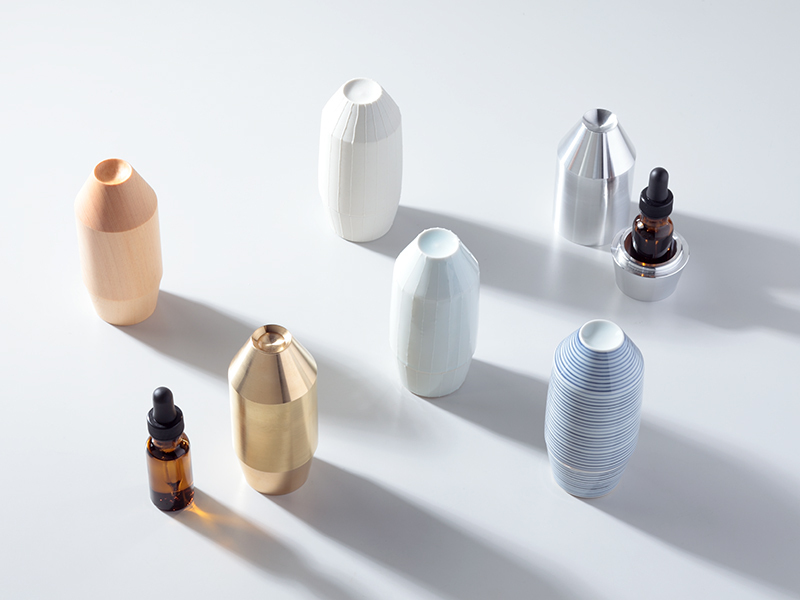 The selection for the Creative Expo Taiwan Award was held during the Creative Expo Taiwan exhibition and the collection of Ryosuke Fukusada, utsusiwa, ranked 30th place out of thousands of works exhibited at the expo. 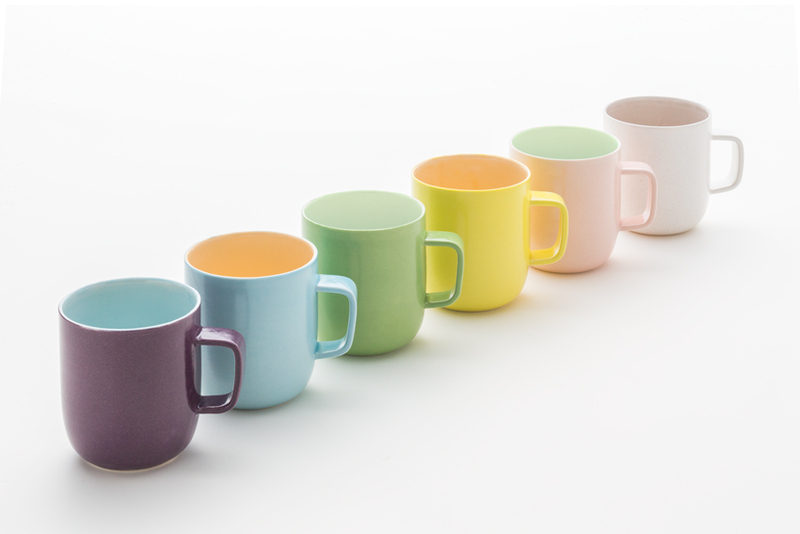 utsusiwa is available at some retail shops in Japan. 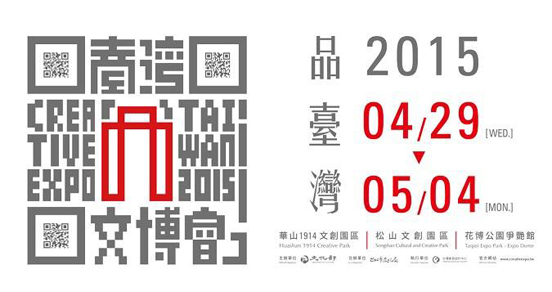 utsusiwa has been invited to exhibit at “CREATIVE EXPO TAIWAN 2015″.